Disclaimer: I was invited to a Disney Q&A Event with Jodi Benson and provided with a complimentary Blu-Ray DVD of The Little Mermaid. All opinions (and gushing over Jodi Benson) are my own and have not been influenced in any way. Earlier this week I attended a Q&A with the Jodi Benson - the voice of Ariel from The Little Mermaid. It was an afterwork event and usually I have to pass on these events but this was an opportunity to meet Jodi Benson. And I have to go. I showed up more than an hour late and out of breath. (I literally ran out of my office to the Empire Hotel.) But Jodi greeted me and asked my name. She was talking about her childhood dream of being on Broadway, even though she grew in Illinois and had never seen a Broadway show. Jodi confessed that she never wanted to be rich or famous, she simply wanted to be a working actress. I remember going to see The Little Mermaid, I wasn't a little girl - I was 13 and it was the first movie I took my little sister to. I remember sitting in the theatre and just being mesmerized by Ariel's voice and the story. As a 13 year old girl, the story was totally relatable...I mean, except for the fact that I was a human, not a mermaid but you know what I mean. And one of my favorite Disney songs is "Part of your world." The Boy hasn't seen The Little Mermaid yet and I haven't seen it in years. I asked Jodi how/if it could appeal to boys. She said the action scenes were fun for boys, as well Ursula, the Sea Witch and the underwater world. After the Q&A, Jodi autographed copies of The Little Mermaid Golden Book. I was torn whether I should have the book signed to me or The Boy. In the end, I had her dedicate the book to The Boy. Then Jodi asked me about The Boy and we started talking about autism and parenting. She asked questions and was genuinely interested. I was moved by her sincerity and concern. I had always loved the voice of Ariel but after meeting Jodi Benson, I admire her as a person. I can't wait to sit down and watch The Little Mermaid with The Boy. The movie means so much more to me now and I want him to love it as much as I do. Are you a fan of The Little Mermaid? What's your favorite scene? 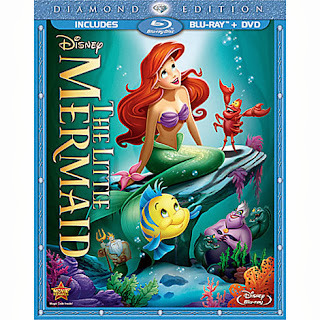 With its unforgettable characters and thrilling adventures, The Little Mermaid has been spectacularly transformed for the first time on Blu-ray with digitally restored picture and brilliant high-definition sound! 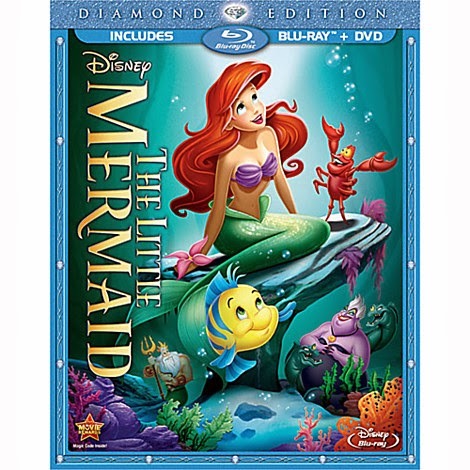 The Little Mermaid will be in stores on October 1st, 2013. Disclaimer: I was invited to a Disney Q&A Event with Jodi Benson and provided with a complimentary Blu-Ray + DVD combo of The Little Mermaid. All opinions (and gushing over Jodi Benson) are my own and have not been influenced in any way.